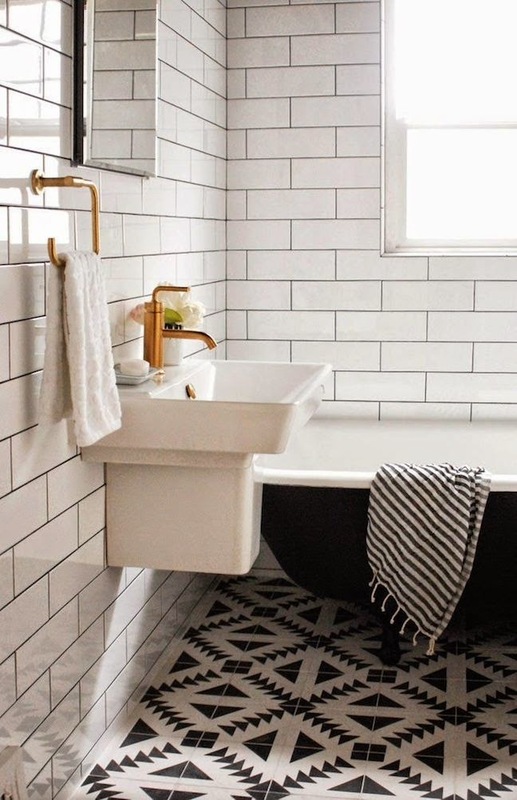 Design Addict Mom: Subway Tiles in the Bathroom. Subway Tiles in the Bathroom. 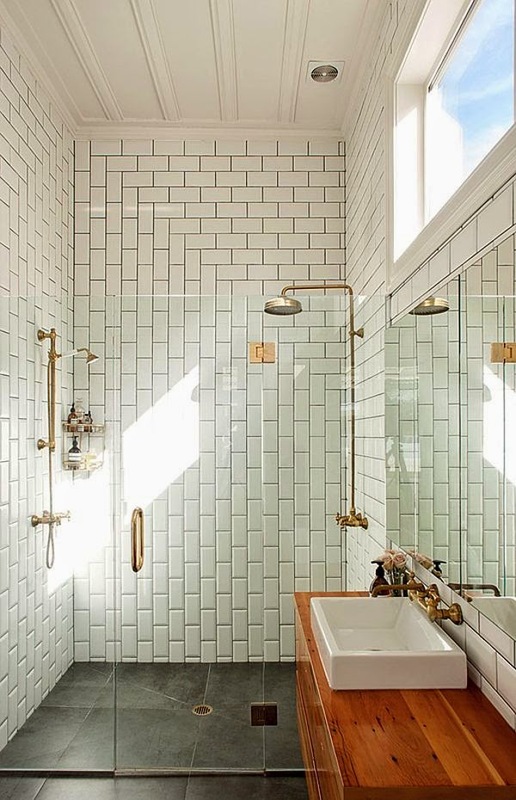 Subway tiles, what's not to love about them? They are so versatile and are usually an inexpensive way to update a bathroom. 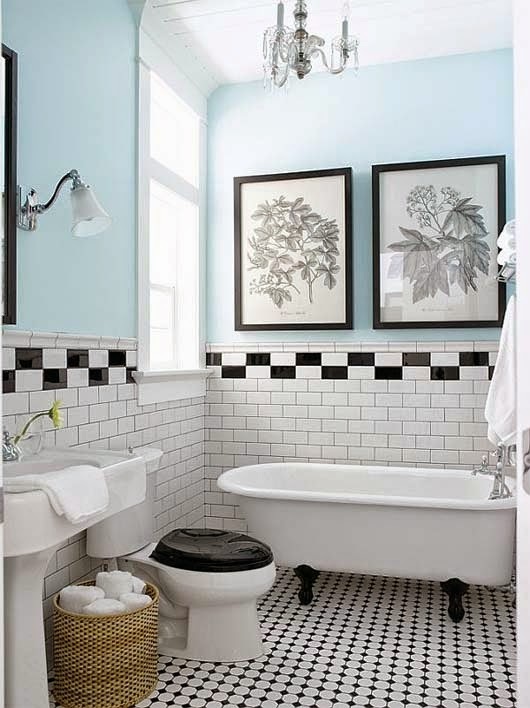 Whether you opt for a traditional or modern bath update, choosing subway tiles will create the aesthetic you desire. As you can see with the two spaces pictured, a lighter or darker grout is a matter of preference. Both types look fabulous! 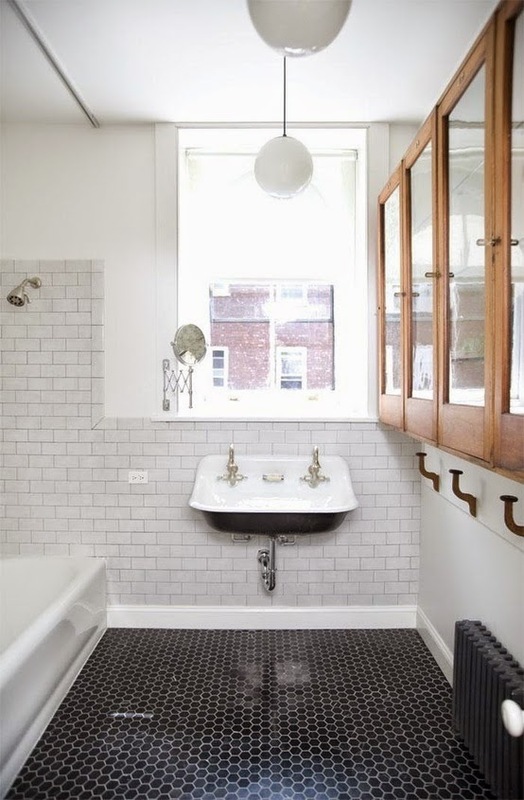 Though I do think the lighter grout in the first bathroom is perfect for the chrome type finishes and the bath tub. I also adore the flooring choices; the perfect pop of pattern and contrast. The modern vanities in each bathroom are winning choices! This beautiful space has made its rounds on the web, but I never tire of seeing it. 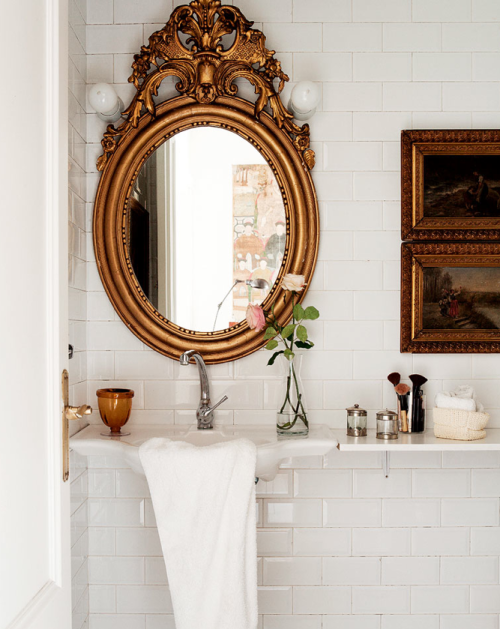 The ornate nature of the mirror paired with the sleek subway tiles is the perfect marriage. I love everything! They won't compete with your art. But you can adorn every square inch of your wall space with them and then you won't even notice missing art. P.S. This is a sponsored post, but thoughts and opinions are my own. OH YES! Give me some subway tiles, NOW! These are great with their clean and shiny look, and my favorite is the one with the vintage gold mirror to set it off in another direction - it warms up the space. 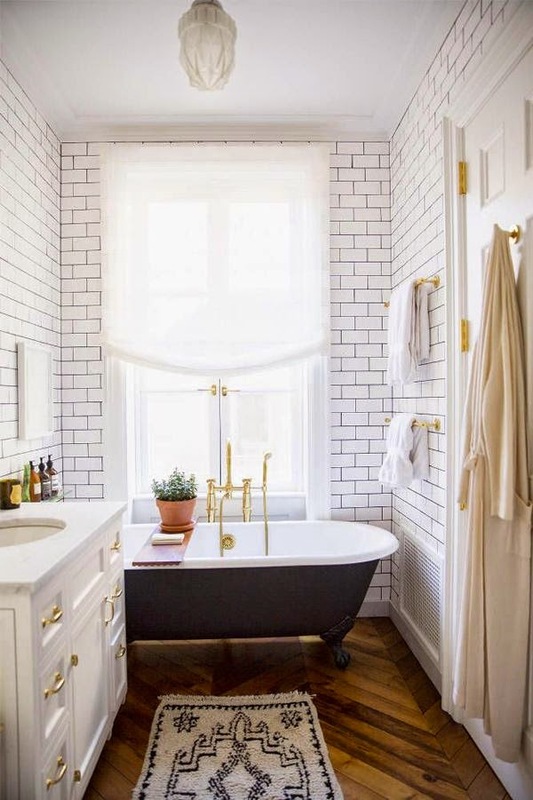 Classics are a classic for a reason - each one of these bathrooms looks great. I'll never tire of subway tile. 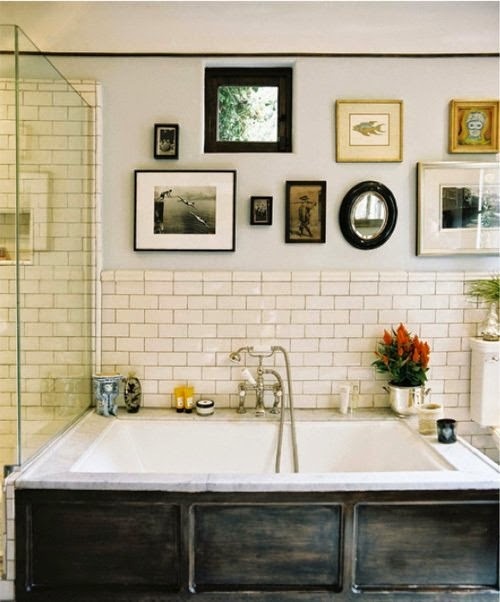 Definitely a fan - just change the grout color and it's a whole new tile! Goes with everything too! This is really unique, and I love it. Have a wonderful week ahead, sweet friend. xo. 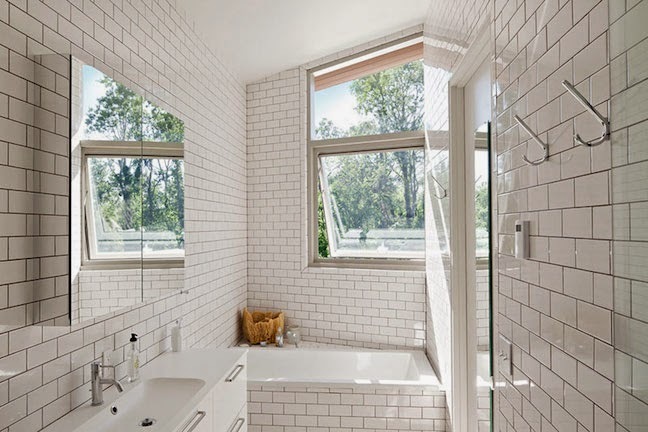 Ooh the room with the white tiles deserved to make its rounds around Pinterest - the mirror and white tiles are industrial chic meets Marie Antoinette! So cool! 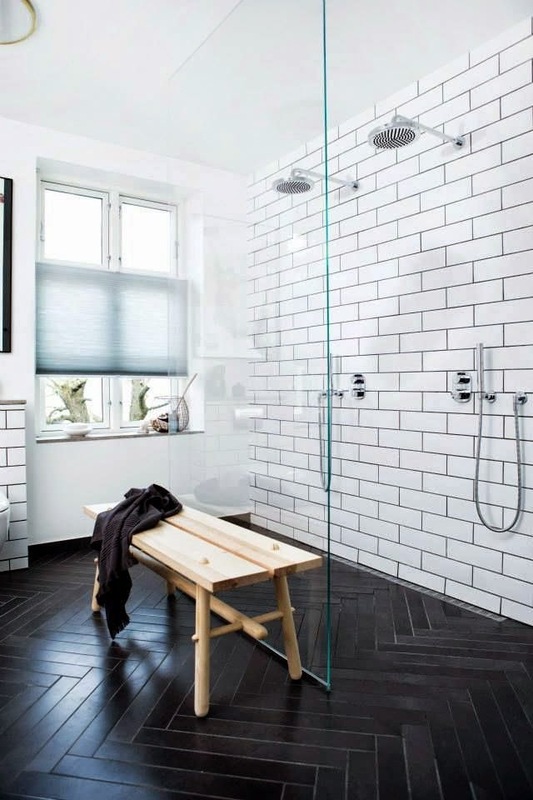 i think subway tiles ALWAYS look great in kitchen or bathroom. I wasn't always a fan of subway tiles, but I slowly became. I love them both paired with classical paintings, mostly dark and baroque, but I seem to be attracted to a more modern feel, too, as in the last photo. AN absolute timeless classic you just cannot go wrong with those tiles!! 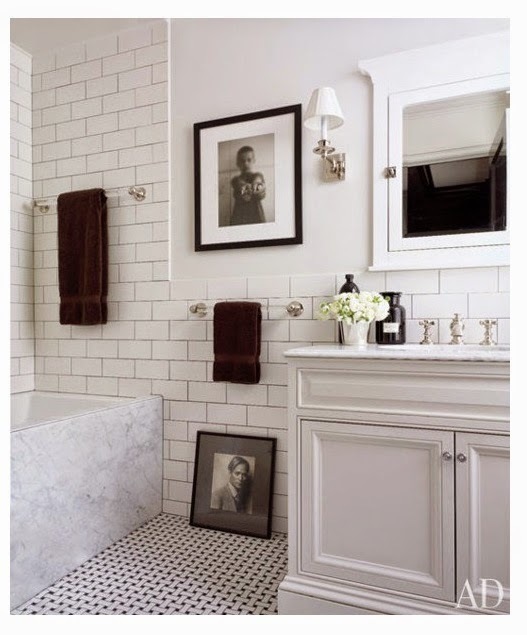 Great post and the bathroom looks lovely. thanks for sharing with us.